WE LIVE IN A NOISY WORLD. NOISE FROM OUR FAMILIES, OUR FRIENDS, OUR WORK, SOCIAL MEDIA, OUR NEIGHBORHOODS. ALL THINGS THAT PULL US AWAY FROM OUR TRUE SELVES. BUT WHAT WILL ALWAYS REMAIN TRUE FOR US IS OUR HEART’S DESIRE. WE ARE BORN WITH A PURPOSE, A LIGHT, AND A TRUTH THAT IS ALWAYS WITHIN US, NO MATTER WHAT NOISE IS HAPPENING OUTSIDE OF US. THERE IS SOMETHING MAGNIFICENT IN THE WAY THAT OUR HEART PULLS US CLOSER TO OUR TRUE CALLING, AND IT IS IN THIS SILENCE THAT WE ARE CALLED TO MEET THE ULTIMATE TRUTH OF OUR LIVES. 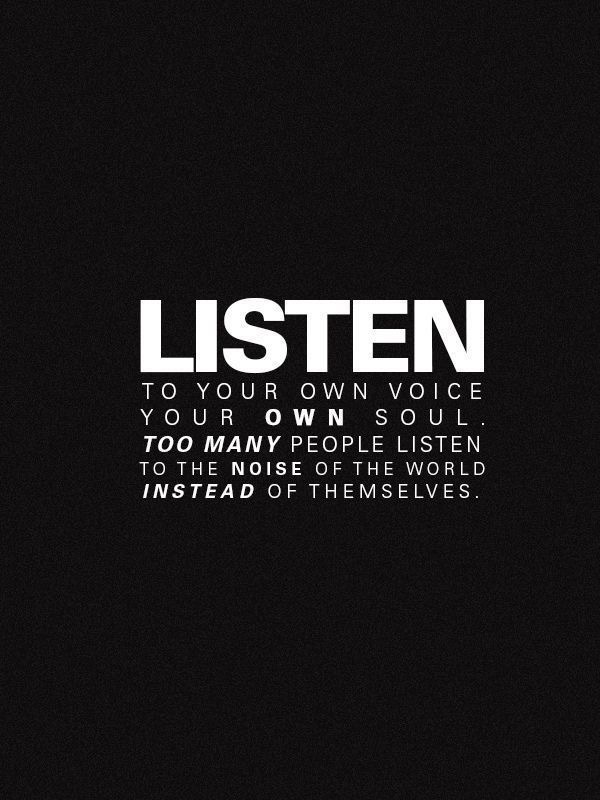 FOR IT IS IN LISTENING TO OUR INNER VOICE, THAT WE FIND OUR TRUTH, OUR CALLING, OUR PURPOSE. THIS PAST WEEK I PARTOOK IN A 30 HOUR SILENCE. NO TALKING, PHONE, EMAILS, TXT MESSAGE, YOU TUBE, TWITTER, FACEBOOK, INTERNET, TV, YOU GET IT, NOTHING BUT MYSELF AND MY INNER SOUL. I SAT IN NATURE FOR HOURS UPON HOURS CONNECTED TO THE WORLD WITHIN. I SAT AND LISTENED WITH A STRONG FOCUS, FOR WHAT IS MY PURPOSE ON THIS WORLD. THIS WEEKEND TURN OF THE NOISE FOR ONE HOUR AND FIND A QUITE PLACE IN NATURE. CLOSE YOUR EYES, AND QUITE YOUR MIND. BREATHE IN DEEPLY, AND LISTEN TO YOUR HEART. LISTEN TO THE WORDS OF YOUR MIND, THE RHYTHM, THE MOVEMENT OF YOUR HEART. THAT IS WHERE YOU WILL FIND THE PURPOSE OF YOUR LIFE. DO IT NOW! BEFORE IT IS TO LATE! Great encouragement for us all, Darren. Glad your experience was awesome. I can see you in the silence and connecting with the Universe which includss nature and you! Love you man I hope I can keep getting your writings on into the future. Always uplifting insightful and inspiring !